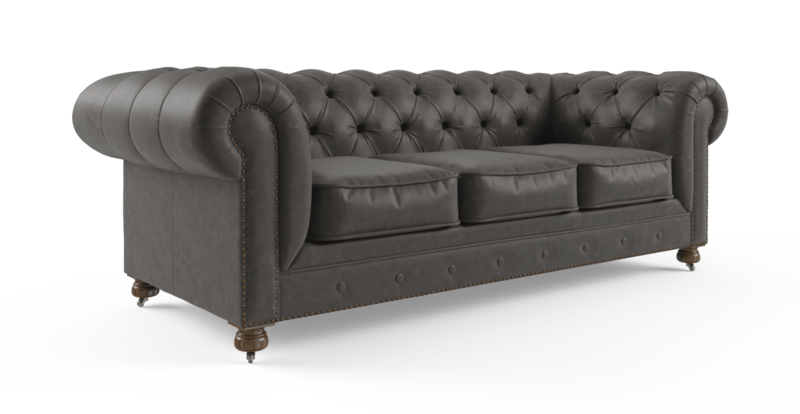 The Camden Chesterfield Leather 3.5 Seater Sofa is a sophisticated and elegant piece, with a design that will never go out of style. 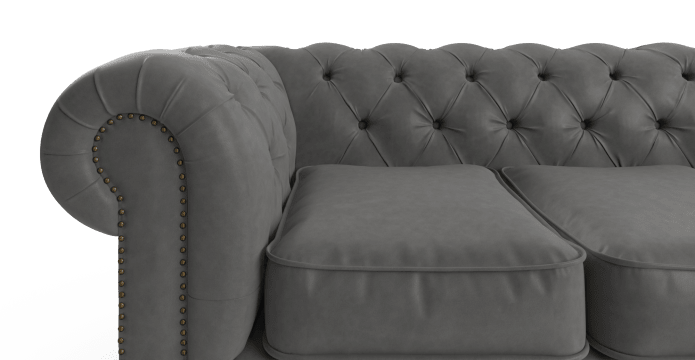 The sofa comes from the bestselling Camden Collection, which features an opulent range of sofas and armchairs for the home. Like all leather pieces, the Camden features its own unique markings, making it one of a kind. Pure leather is a premium natural product, meaning it will display normal characteristics such as colour variations, marks, scratches and scuffs. The Leather Camden comes available in a sumptuous range of premium grade leather, in rich shades of Walnut, Taupe, Oxblood, Slate and Pewter. Each piece has been expertly treated to ensure the highest quality, undergoing a process of flattening, softening, sanding and dyeing. 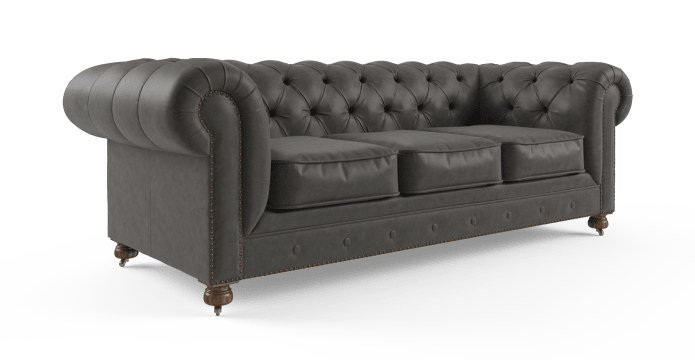 The leather of the Camden Chesterfield is designed to only improve with age, growing softer with extended use, while a wax and oil combination finish enhances and protects the colour and quality of the piece. 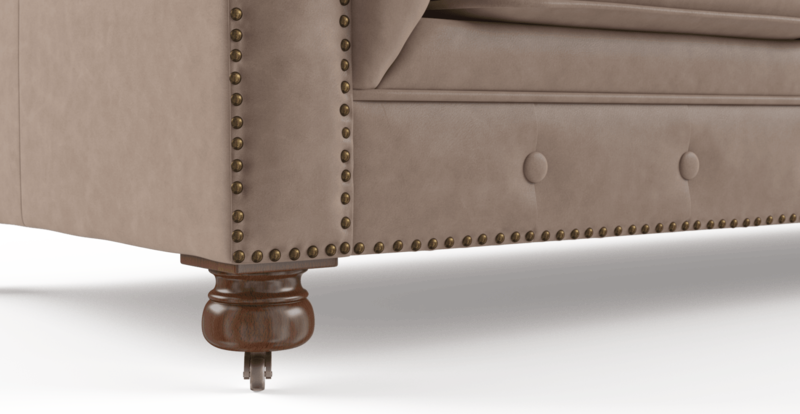 Polished brass studding and matching button detailing completes the look of the Camden Leather Chesterfield, while wooden castor legs are a convenient addition. 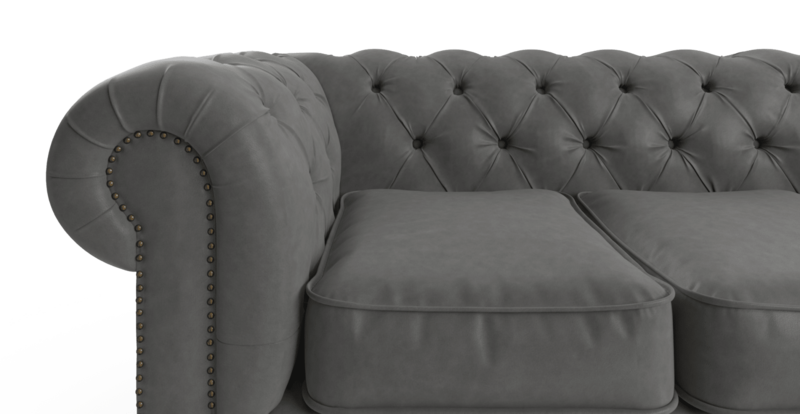 The sofa is built with a strength tested frame and has a plush filling for the ultimate comfort. See, touch and feel our fabrics used on our Camden Chesterfield Leather 3.5 Seater Sofa. For Free! Simply select up to 3 fabrics and add them to your cart. Delivery is on us.